Reporting to the Executive Director, the Director of Organizing is part of a cross-departmental team. They participate in senior staff meetings and strategy planning and serves as a coach and mentor for Organizers and Stewards. The Director of Organizing performs a range of duties, which may vary according to the needs of the overall program, a specific action, or the needs of the IDG. 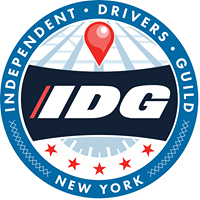 Qualified candidates may send a résumé and cover letter to jobs@drivingguild.org with “Director of Organizing” in the Subject line of your email.